Gigantic container ships are an everyday sight on the river Elbe. But what happens in handling at the quayside? And where do all the colourful steel boxes go? 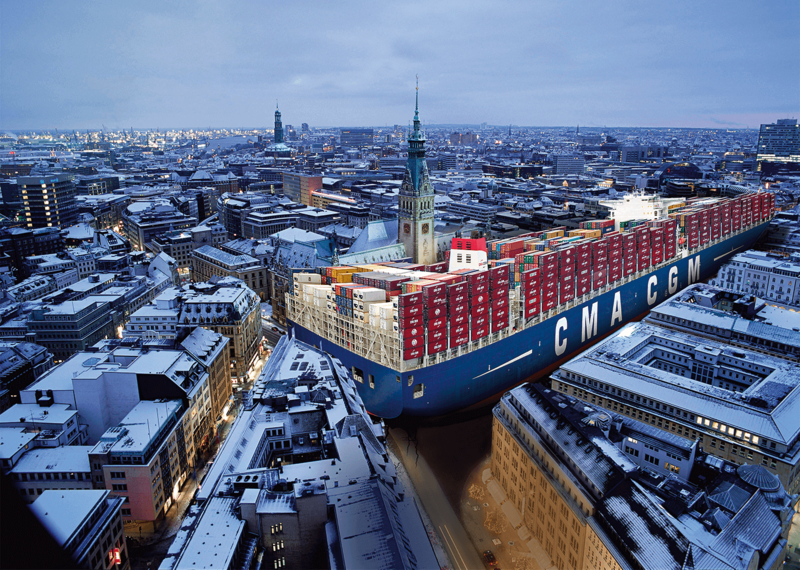 How many container mega-ships call at the Port of Hamburg every year? In 2018, 150 container ships with a capacity of 18,000–20,000+ standard containers (TEU) called at Hamburg. The majority are in service between Asia and Europe. 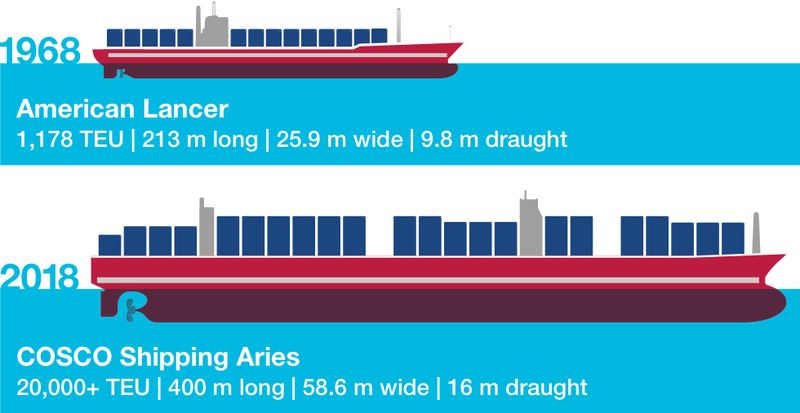 How long does it take to unload and reload a ship with 20,000 standard containers (TEU)? To handle a container mega-ship, the terminal is running around the clock for 48 hours straight. How many containers are loaded and unloaded per hour? A container gantry crane moves about 25 to 30 boxes per hour. In twin mode, a single hub can handle two 40-foot or four 20-foot containers. Several container gantry cranes work simultaneously to unload and reload a 20,000-TEU container ship. How long does a container stay at the port after being unloaded? Many containers leave the Port of Hamburg within a few hours to be forwarded on to their destinations. Scroll down to learn more about transport routes. 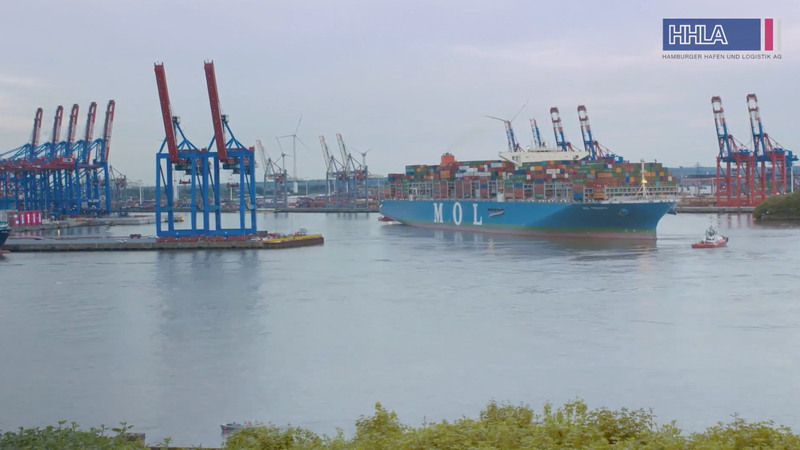 Follow the first arrival of a container mega-ship (20,000+ TEU) in Hamburg: The MOL Triumph can transport over 20,000 standard containers (TEU) and was handled at the HHLA Container Terminal Burchardkai within less than 48 hours. The mega-freighter wouldn’t fit on the Hamburg Rathausmarkt! 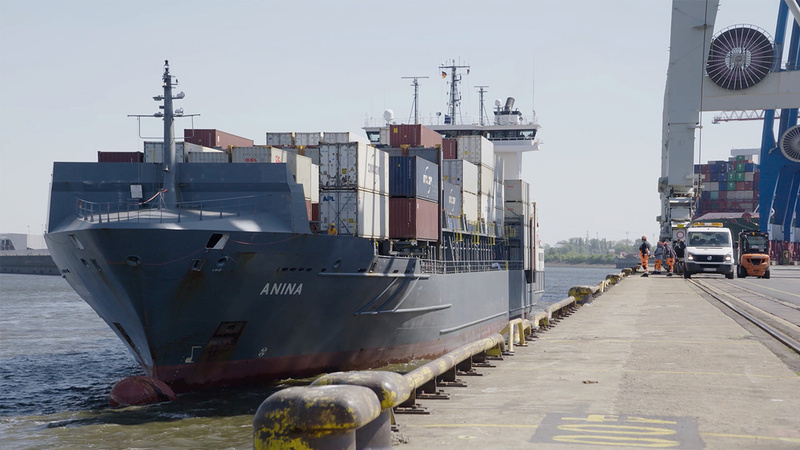 From Monday morning until Saturday midday, an average of 28,000 trucks per week use the three Hamburg HHLA terminals; in peak weeks, the number can reach over 32,000. Because arrivals of mega-freighters generate ever greater peak loads, slot booking was introduced. Hamburg is the largest railway port in Europe. This attracts containers like magic. Why? Hamburg is the second-largest German port for inland vessels. 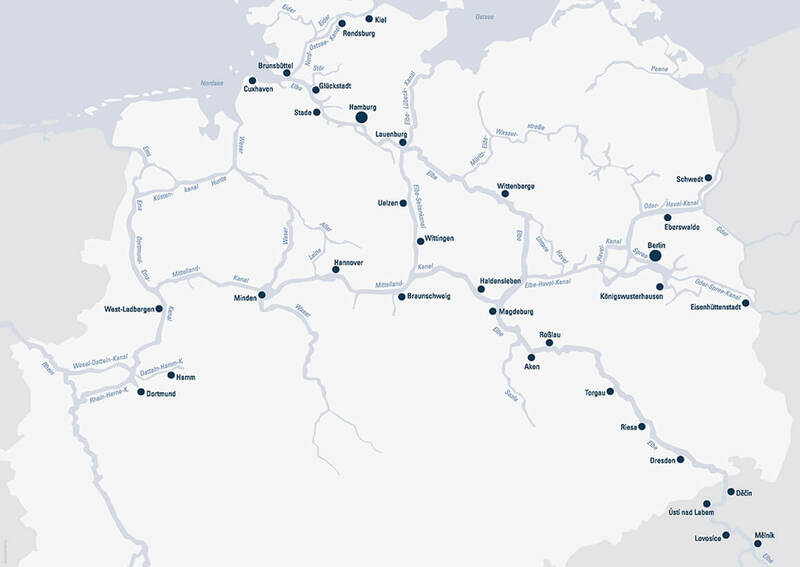 Every port on this map can be reached from Hamburg. 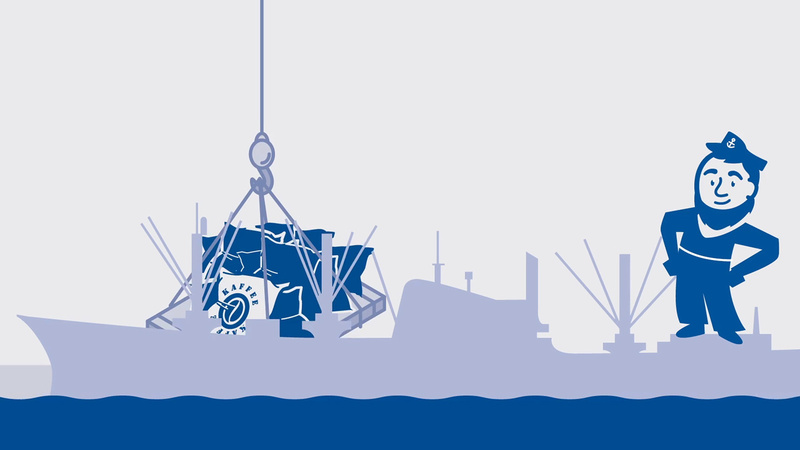 Feeder ships service the entire Baltic region from Hamburg. The connection is especially short thanks to the Kiel Canal. 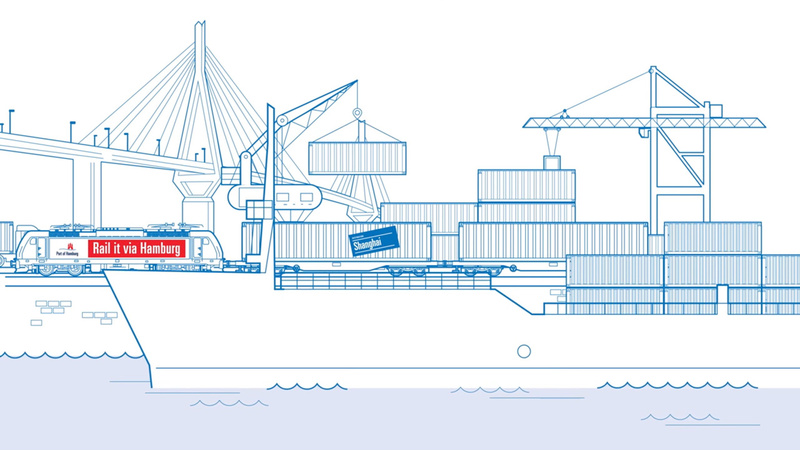 These short animations will show you why the container has become indispensable in global trade. It makes transport and handling cost-effective and simplifies many processes. 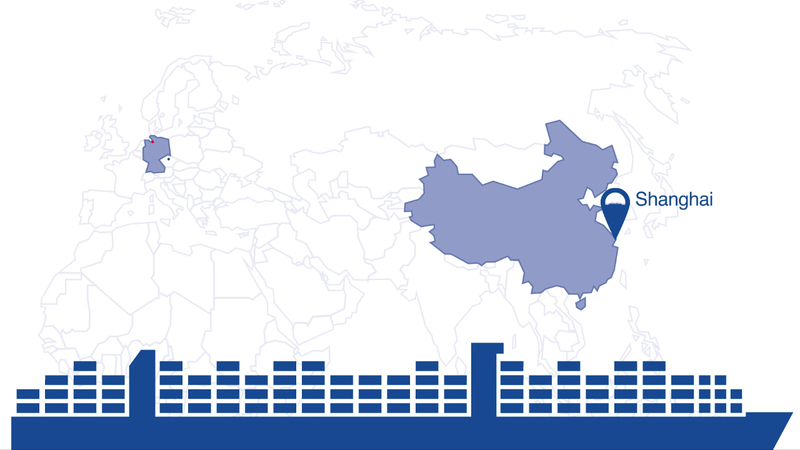 The transport of a tablet from China to Prague only costs about 11 cents. How is it so cost-effective? Because of container and large ships! Follow the 21,000-kilometre journey of a tablet.